WaterStep first began work in Costa Rica in 2001. 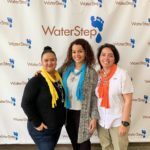 For 14 years, WaterStep has worked primarily in the central highlands and the Pacific coast, focusing in the provinces of Guanacaste, Cartago, Heredia and San Jose. 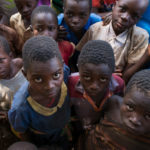 Project locations have included churches, schools, feeding centers, or other community centers. 2015 has been no different. So far this year, WaterStep has led 5 trips to various regions of Costa Rica and still has one more trip this fall. 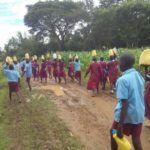 These continued efforts rely on the work of WaterStep staff alongside local partners who are dedicated to bringing safe water to their communities. A team of four Costa Ricans serve as WaterStep’s “boots on the ground.” They call themselves CREWS, Costa Rican Expert WaterSteppers. The leader of CREWS, Ana Lorena Cespedes, scouts out project locations, performs community assessments and tests water, while other members make minor repairs and answer technical questions – most importantly, all four help to build and maintain strong local relationships. Consistent communication with a larger network of church leaders, school directors, and community leaders allows WaterStep to leverage its effectiveness. On WaterStep’s most recent trip to Costa Rica, a team of 20 from Kentucky, Pennsylvania and Canada completed three successful water purification installations in Santa Maria at two elementary schools and a mission house that will bring safe water access to their communities for years to come. Trip leaders and WaterStep staff, Kurtis and Claudia Daniels led the group of volunteers during the 7 day trip. After they sent the team back to Kentukcy and Canada, they continued on to a fourth location in Esterillos to help provide safe water to people in need. Their friends, who are missionaries working with Pura Vida Church in Costa Rica, were in need of safe water for the community in the area where they worked. That next Sunday, they attended the church to worship, surveyed the sight, made a materials list and returned the next day to begin working. Along with the help of local partners, Kurtis and Claudia installed a water purification system and educated leaders of Pura Vida Church, the local water company and the community leaders how to use it. Because they were able to stay those extra few days, even more people were provided with access to safe water. Over the years of WaterStep’s work in Costa Rica, hundreds of volunteers, dozens of local partners, and many financial supporters have provided safe water to thousands. The sustainability of these projects is evident in the continued relationships between in-country partners and the WaterStep staff. Even when unexpected opportunities arise, the WaterStep staff is prepared to equip locals and provide whatever they need to access safe water for years to come.